Dublin – After the Alameda County Sheriff refused to back recommendations passed and reaffirmed by the County Board of Supervisors this past Tuesday, the Bay Area Urban Areas Security Initiative Approval Authority (BAUASI) voted yesterday to redistribute funding for emergency preparedness trainings and exercises to various cities and counties in the region. 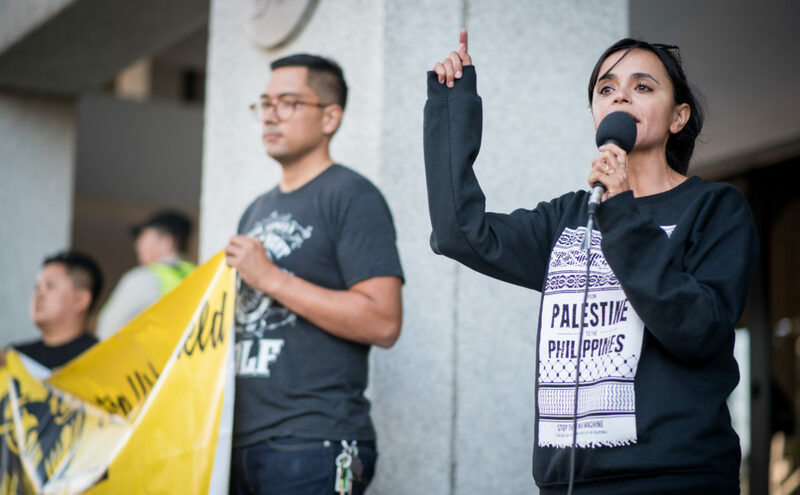 During the meeting, the BAUASI chair voiced support for the Alameda County’s Ad Hoc Committee and its recommendations, which seek to address Islamophobia and a culture of militarization in emergency preparedness exercises. County officials that were present at the meeting – except for the Sheriff’s Office – stood by the Board’s Tuesday vote. The BAUASI vote to reallocate funding debunks Sheriff Ahern’s baseless claims that his Supervisors’ support for the recommendations signaled an end for funding and emergency preparedness trainings. “In light of the devastating attacks against the Muslim community in New Zealand, we are ever more determined to see through the development of emergency preparedness programs that are not steeped in the same Islamophobia of Urban Shield,” stated Lara Kiswani, Executive Director of the Arab Resource and Organizing Center. Additionally, yesterday’s discussion and vote was another illustration that the Sheriff’s Office is more interested in pursuing its own interests rather than representing the will of Alameda County. The BAUASI vote was based on an assumption that Alameda County did not pass the Memorandum of Understanding – even though Supervisors did just that on Tuesday. Despite numerous representatives from the Alameda County Ad Hoc Committee and Supervisors’ offices stating the facts to BAUASI, the Sheriff’s Office refused to comply or back the county’s decisions. In 2020, BAUASI will seek to issue a new Request for Proposals for a regional exercise that prioritizes community participation and training, and more closely reflects Alameda County’s recommendations. Yet because of Sheriff Ahern’s unwillingness to accept that Urban Shield and its militarized model is a thing of the past, Santa Clara appears interested in stepping up as the county to run future exercises. On Tuesday, the Stop Urban Shield coalition had a significant victory against the Sheriff and for community-centered preparedness! 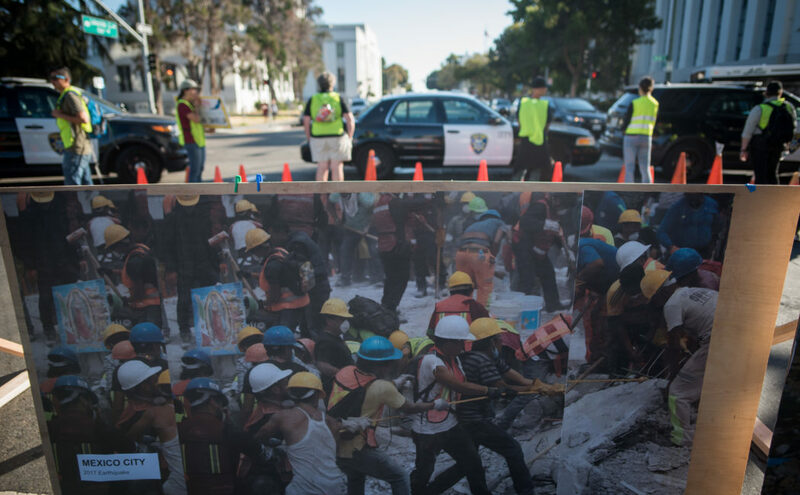 After we mobilized and provided hours of public comment in support of demilitarized emergency response, the Alameda County Board of Supervisors (BOS) voted to adopt nearly all of the recommendations for community-based, demilitarized disaster preparedness exercises for the Bay Area. Please take a minute now to write the Supervisors thanking them for their decision! This victory comes in the face of the sheriff attempting to counter-organize against the community and filling the room with law enforcement and proponents of Urban Shield. In an attempt to sabotage the years of work, and the democratic process put in place by the supervisors, he circulated a letter in the 11th hour claiming that the most important recommendations would go against the County’s standing contracts, and argued for them be rejected as a whole. However, due to our organizing, the Supervisors voted with the interests of the people. We are excited to live and work in a County that has prioritized community-preparedness and demilitarization, and for all of us to participate on this new path towards health, safety, and well-being. Stay tuned for more ways stay engaged! I am writing to thank you for your strong leadership on Tuesday the 26th in standing with Alameda County communities and approving the recommendations on disaster response exercises. Your commitment to demilitarized and inclusive emergency preparedness programs will truly contribute to building strong and resilient communities. 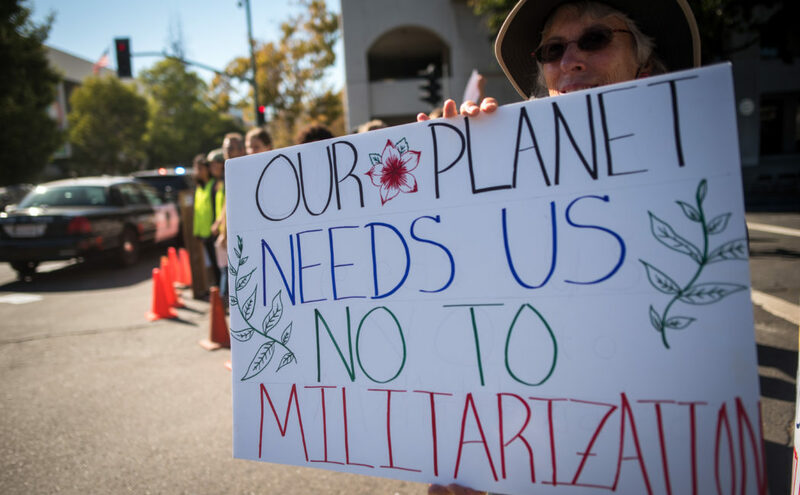 On February 26th, the Alameda County Board of Supervisors will be voting on recommendations that call for community-centered, demilitarized emergency preparedness in the Bay Area. Come urge them to vote yes, and let them hear you before the 26th! 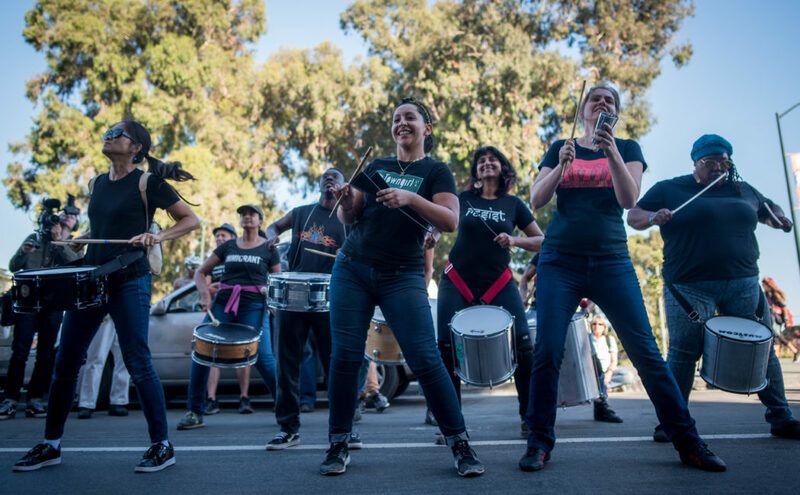 Last September, we held a powerful rally outside the Alameda County Sheriff’s Office during what was the final Urban Shield war games training. 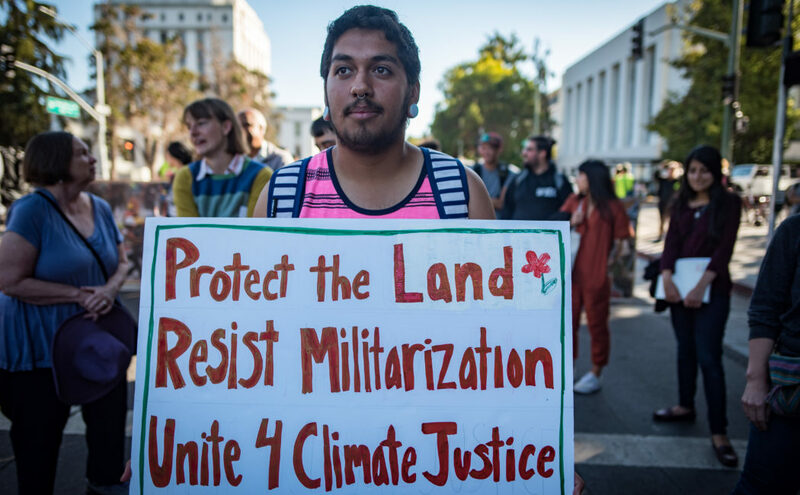 The rally corresponded with the People’s Climate Mobilization, and centered the importance of fighting militarization and building community strength and resilience in the face of the increasing natural disasters our planet is facing. As we anticipated, Sheriff Ahern is in denial about losing the fight for Urban Shield and is scrambling. This is business as usual for the Sheriff – to attempt to completely ignore decisions made by the Board of Supervisors that were the result of community organizing. Yet the Stop Urban Shield Coalition has built power, and the Sheriff will not succeed – when we act to protect these gains. As both common sense and evidence shows, the violence of policing will never create healthy and resilient communities, but is rather a public health threat. Let’s be ready to defend our tremendous victory this year, and build the demilitarized, community-centered alternative to Urban Shield! Take Action and Call Your Supervisor! Please make your call before February 26th. If you don’t know which Supervisor’s district you live in, you can find out here. Below is a sample script you can use – we *highly encourage* you to personalize the script while keeping to the Stop Urban Shield Coalition’s main message. Dedicating resources for the Public Health Department to conduct emergency preparedness exercises. I urge you to continue to embody strong leadership for the county’s communities, and to give Alameda County residents the resources they deserve by voting to adopt the Ad Hoc Committee’s recommendations during your meeting on February 26th. 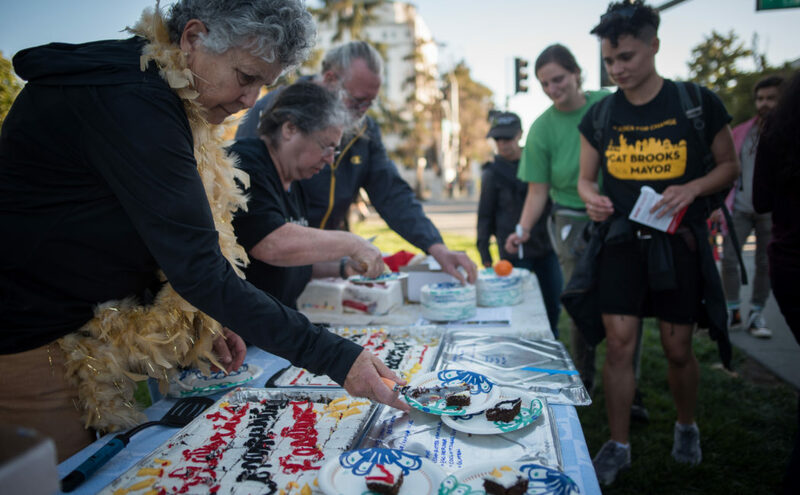 A big thanks to everyone who came out to celebrate our victory against militarism and continue to send a resounding message to the Alameda Board of Supervisors that: militarized policing is not a substitution for real emergency preparedness! Check out some great pictures from the rally and stay tuned for additional updates. All pictures taken by Brooke Anderson. Join the Stop Urban Shield Coalition as we rally against the last Urban Shield to take place! 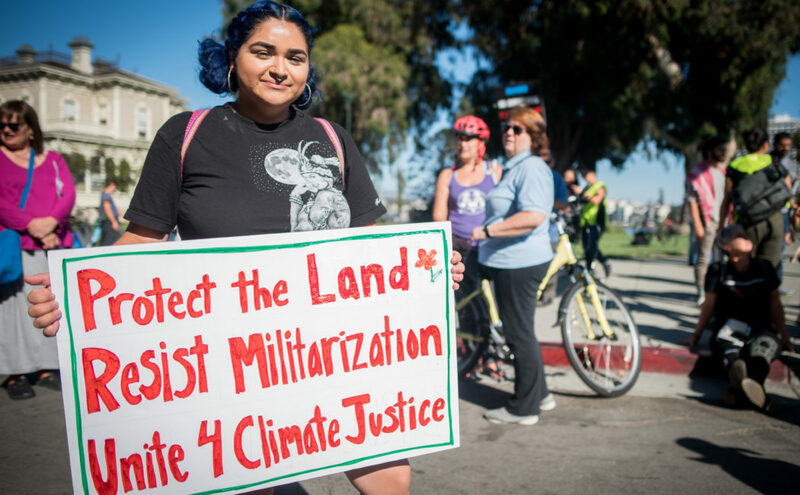 Coinciding with the Peoples Climate Movement – Bay Area mobilization, we will be rallying against the Alameda County Sheriff’s Office hosting of the final Urban Shield militarized war games and weapons expo. While the Sheriff’s Office and law enforcement officials justify the need for militarized policing programs by citing a need to respond to emergency situations and disasters, we know that true emergency preparedness comes from building up community strength, response, and resilience. 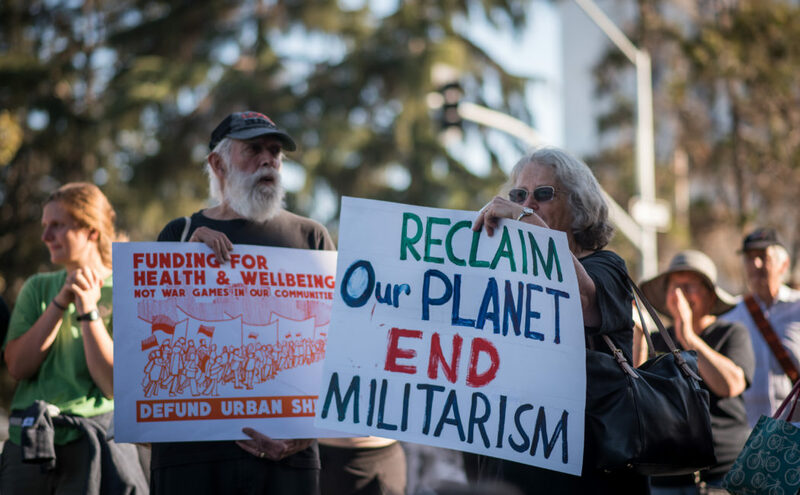 Join us for a powerful rally and mobilization as we draw the connection between militarism and climate change, and demand real community based preparedness and responses to natural and man-made disasters that do not rely on militarization. Berkeley – The City of Berkeley is being served today with a federal civil rights class action lawsuit challenging the Berkeley Police Department’s (BPD) brutality against activists and journalists during a demonstration against the city’s participation in the highly militarized Urban Shield policing program. This lawsuit comes on the heels of a Monday, July 23rd, 2018, decision when the Berkeley City Council voted to allow BPD to participate in the Urban Shield exercises this year, which are slated to be the last. 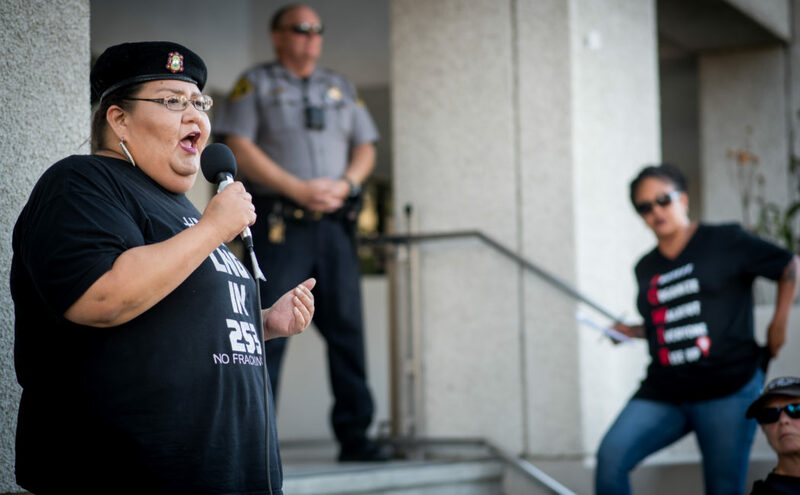 Mayor Jesse Arreguin was the deciding vote, and chose to turn back on his public promises by not withdrawing the police department from the militarized war games. 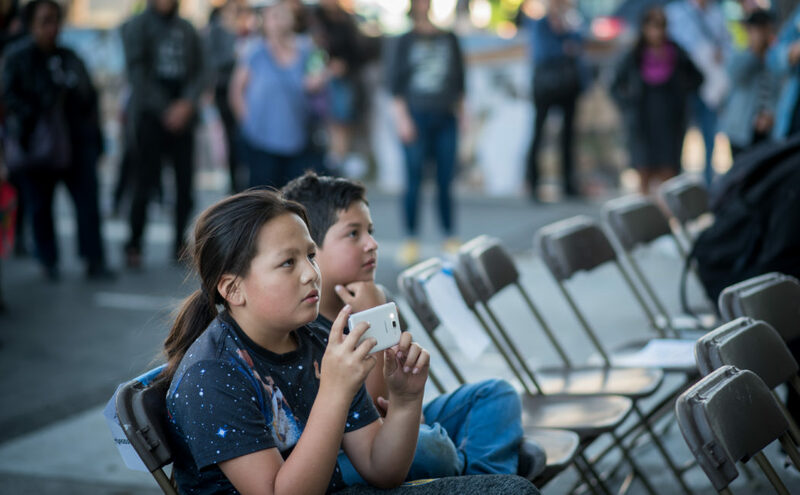 The lawsuit concerns a prior City Council meeting at Longfellow Middle School on June 20th, 2017, when hundreds of people turned out to speak against Berkeley’s continued participation in Urban Shield. This 2017 meeting began a year long process which culminated in the Council vote this week. At the 2017 meeting, when activists peacefully unfurled a banner reading “Stop Urban Shield, End the Militarization of our Communities,” the Berkeley Police immediately responded with aggression and violence, applying unnecessary pain holds and forcefully herding protesters out of the auditorium with baton shoves and blows. Police hit Plaintiff Brooke Anderson – a photojournalist who presented officers with her press pass – multiple times on her arm, which was already in a visible brace due to a prior injury, and her camera was forcefully shoved into her face. The officers grabbed Plaintiff Dylan Cooke in an excruciating pain hold and arrested her without giving her any chance to leave or comply. Outside the school, when people continued to chant in opposition to the violence of Urban Shield, the police advanced on the crowd aggressively, wielding their batons. Police clubbed Plaintiff Lewis Williams, a 73 year old retired elementary school teacher, on the head, and hit and shoved a number of other protesters, even as the activists showed no threat and attempted to calm the officers. During that Council meeting, Berkeley Police Chief Andrew Greenwood boasted of how Urban Shield offers valuable training on de-escalation.Yet, just hours later when faced with a nonviolent, peaceful demonstration, police immediately resorted to escalation and violence, causing avoidable injury and chaos. Only a few months prior to this June 20th incident, BPD agreed to changes in its First Amendment and Use of Force policies and training, as a result of a prior federal civil rights lawsuit and a two year Police Review Commission (PRC) process arising from BPD’s response to Black Lives Matter protesters on December 6, 2014. In that eerily similar incident, a Chronicle photographer and a minister were hit on the heads, protesters were indiscriminately clubbed from behind, and BPD used batons to forcefully herd demonstrators from the campus area all the way across the city border into Oakland. Civil rights attorneys Jim Chanin and Rachel Lederman, who brought the prior lawsuit, contacted Chief Greenwood after the June 20 incident to try to discuss the event, but the Chief never responded. The lawsuit seeks an injunction prohibiting BPD from using needless force against protesters and journalists, and monetary compensation for the injuries to the three named Plaintiffs. Monday’s City Council vote on the Police Department’s participation in the 2018 Urban Shield vendor show and tactical exercises came after more than a year of meetings and research by the Berkeley Ad Hoc Subcommittee on Urban Shield and NCRIC, initiated by the June 20th, 2017 public hearing. With more than 100 community members in the room reminding the Council of the harmful impacts of the militarized, xenophobic and racialized Urban Shield program, Mayor Arreguin was the deciding vote to keep the City’s Police in the program for 2018, despite his repeated public commitments to withdrawing. His changed vote Monday is reminiscent of his similar actions last June that initiated peaceful protest from the crowd. Berkeley Residents: Show Up with the Stop Urban Shield Coalition! 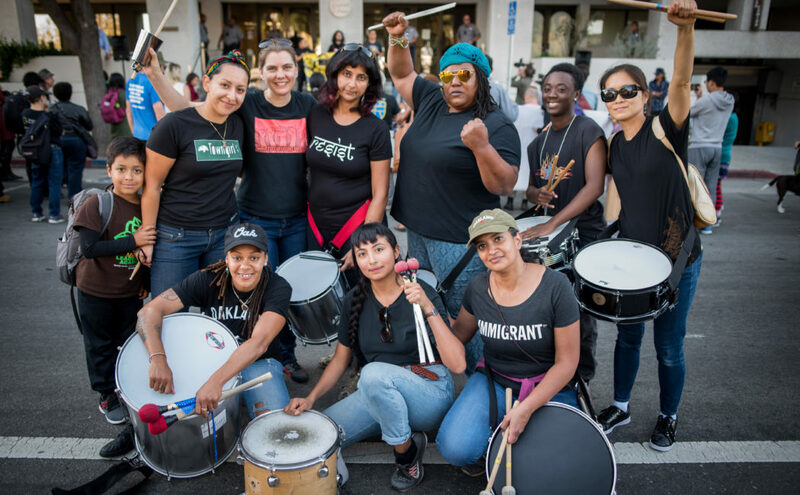 We need your support to withdraw the Berkeley Police Department from Urban Shield 2018! Suspend Berkeley’s participation in the vendor show and BPD’s participation in the tactical scenarios in 2018 pending timely reevaluation of the tactical-related offerings from the county in 2019. The suspension should not extend to the table top exercises (Yellow Command), the CERT exercises (Green Command), the Community Preparedness Fair (Gray Command) or to public safety seminars at Urban Shield. The recommendation will come before the City Council at its July 24, 2018 meeting. Mark this date on your calendar and plan to be at the meeting! This is a victory for those of us who oppose Berkeley’s continued participation in Urban Shield’s 2018 SWAT Team war games. 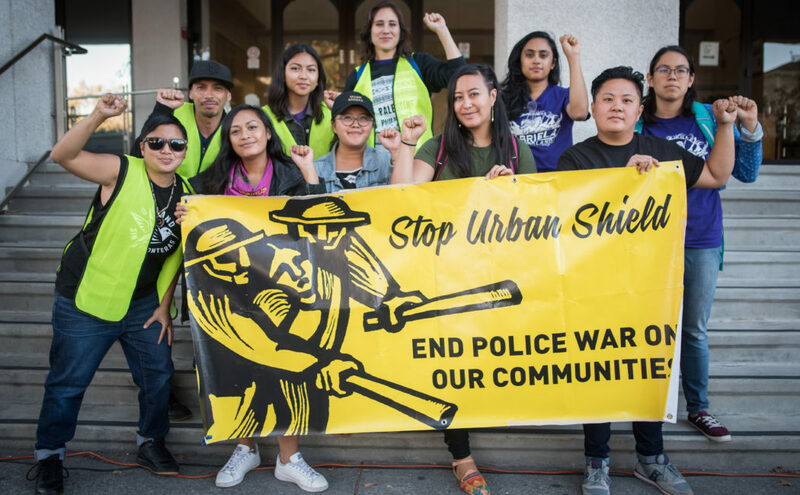 It follows closely on the victory of the Alameda County Board of Supervisors’ decision to end Urban Shield as of 2019. Already the Berkeley Police Department is mobilizing to defeat this recommendation, playing on Trumpian fears of terrorism and crime. We need to mobilize the community to support Mayor Arreguin and Council Members Cheryl Davila and Kate Harrison in their principled vote to end Berkeley’s participation in the 2018 Urban Shield SWAT competition and vendor show. I support the Urban Shield Subcommittee motion on Berkeley’s participation in 2018 Urban Shield. After a year of research and discussion in public meetings, this motion meets the concerns of all Berkeley residents. It continues Berkeley Fire Department, emergency response staff and volunteer participation in training at Urban Shield 2018 focused on response to those mass disasters most likely to affect Berkeley: wildfires, earthquakes, hazardous material releases and the need to shelter in place. It suspends Berkeley’s participation in the 2018 SWAT scenarios and vendor show, which promote racism, xenophobia and the militarization of our police force. It allows for reevaluation of Berkeley’s participation in 2019, by which time the Alameda County Board of Supervisors will have developed a reconstituted emergency prevention and response training. I urge you to vote to support this recommendation when it comes before the Council. 4. Mark Tuesday, July 24th on your calendar NOW to be sure to attend the City Council meeting where the subcommittee’s motion will be voted upon. 5. Share this information with all your friends and neighbors and encourage them to email and show up on 7/24 at the City Council Meeting. On Tuesday, March 27th, the Stop Urban Shield coalition put an end to the largest militarized SWAT training in the world. Urban Shield takes place in the Bay Area on the weekend of 9/11 each year, and is a war games training and weapons expo that involves international and local law enforcement agencies and emergency responders. After more than six hours, and hundreds of people gathered to speak out and give public comment opposing Urban Shield, the Alameda County Board of Supervisors voted to put an end to Urban Shield as of 2019. “Urban Shield as we know it ends at the conclusion of this vote,” stated Supervisor Carson. Four out of the five Alameda County Supervisors, led by Supervisor Carson and Chan, voted to end the program. Urban Shield represents everything our movements are fighting against — from collaborating and training with ICE, hosting the white supremacist militia the Oath Keepers, training with and sending officers to apartheid Israel, glorifying policing and militarization, exploiting tragedies and natural disasters and public health needs, and continuing to align with Alameda County Sheriff Ahern’s support of the Trump Administration — Urban Shield has no place in the Bay Area or anywhere. Congratulations to the San Francisco Bay Area for once again setting a precedent for the rest of the country against racism, repression, militarism, and state violence. 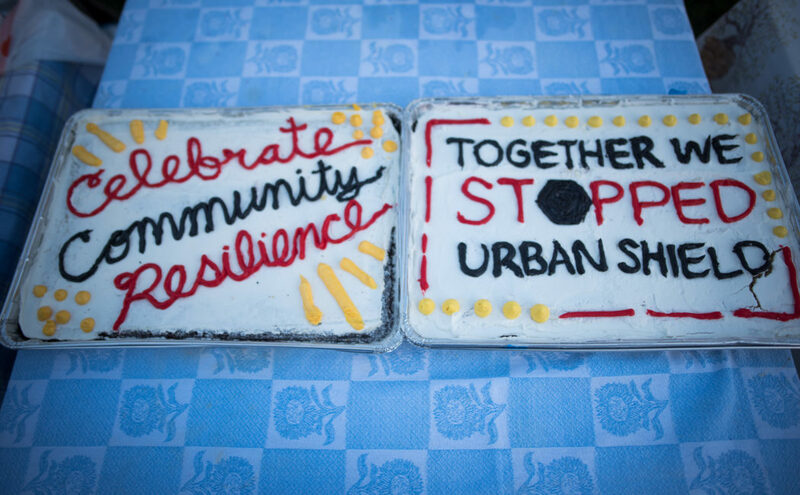 Ending Urban Shield reminds us that we can win through cross movement building and strong organizing. This victory comes after years of organizing. It is a testament to our ability to shift power and win! Our work continues! Let’s continue building strong and health communities as we do away with militarization! Oakland, March 27th 2018 – In a historic move, the Alameda County Board of Supervisors just voted to end Urban Shield after 2018, the world’s largest militarized SWAT training and weapons expo. The vote was applauded by community members and organizations. “Urban Shield would be ended it as we know it” after this year said Supervisor Carson, who put forward the motion to end the program after this year’s event takes place, which succeeded in a 4-1 vote. Supervisors Chan, Valle, and Miley supported the motion, with Supervisor Haggerty being the only no vote. Carson’s motion succeeded after an initial motion by Chan to end Urban Shield in 2018 failed in a 3-2 vote. 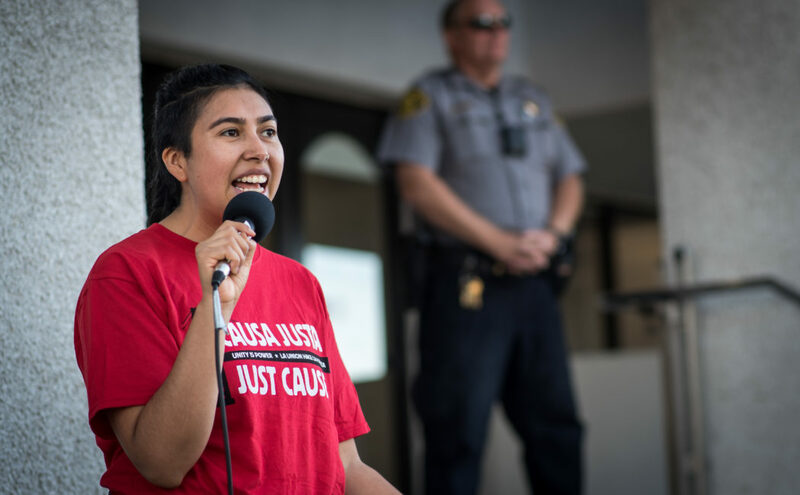 The Stop Urban Shield is committed to seeing this decision through, and to working with communities and decision makers to build up the resources and programs that strengthen community based emergency preparedness not tied to militarized policing. WE CAN END URBAN SHIELD ON MARCH 27TH! 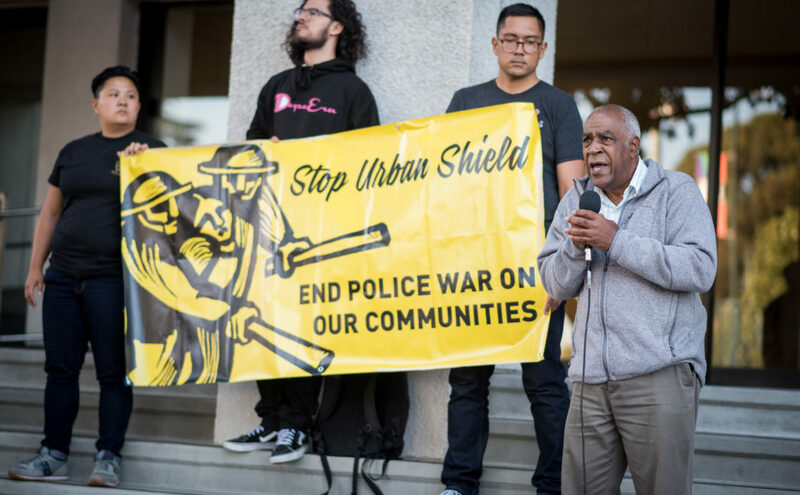 Join the Stop Urban Shield Coalition at the Alameda County Board of Supervisors meeting, where they will be voting on the Sheriff’s request to fund Urban Shield 2018. We are organizing to ensure they say NO! We want real, community-based preparedness for emergencies. Police militarization is not the answer. We recently learned that Sheriff Ahern hosted ICE at the 2017 Urban Shield! We must turn out all our communities for this crucial vote. Alameda County must resist this blatant collusion with the horrific Trump and Sessions administration, and need to act on ending the racist tactics, and technologies being spread by Urban Shield. It has only become clearer that Urban Shield does not provide disaster preparedness for the Bay Area. At the most recent Board meeting where AC Supervisors heard back from the Task Force assigned to evaluate Urban Shield, Sheriff Ahern demonstrated open disregard for the terms put in place by the Board to curb some of the program’s blatant racism and violence. Urban Shield clearly can not be reformed and must be defunded. Take Action! Here’s how you can help. Dear Supervisor _________, I am calling to urge you and your fellow Supervisors to take leadership in putting an end to the harmful and controversial Urban Shield program in Alameda County. On Tuesday, March 27th, you will be asked to decide whether to authorize funding for the Sheriff to hold Urban Shield in 2018.. By rejecting this, Alameda County can be a leader in prioritizing true community preparedness that is not based on fear and militarization. Despite your guidelines and community concerns, Sheriff Ahern has repeatedly demonstrated complete disregard for very serious concerns, most recently shown when he hosted both ICE and the Oath Keepers at last year’s Urban Shield. I urge you to take action by saying no to the authorization of any funding for Urban Shield. Thank you. 3) Spread the word! Let all the people in your networks know that with a powerful turnout and strong community pressure, we can end Urban Shield once and for all on March 27th.